Ah, first date and the full moons are out. How serendipitous and beautiful. I wonder how this two met. Would be extra poignant if it was during an epic struggle between good and evil. I guess the families don’t know yet, since this is only a first date, but I wonder if there will be issues with the cross-species coupling? 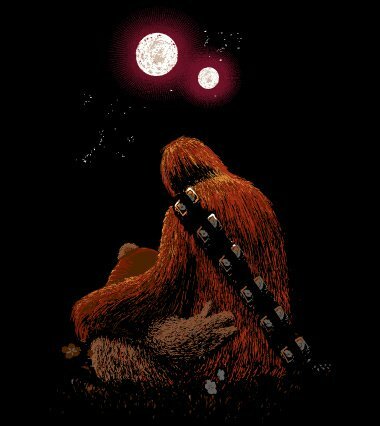 Does Chewbacca have an old school mom, or perhaps all the Ewoks are sort of prejudice against any not of their kind?